Making croissants is no simple feat! 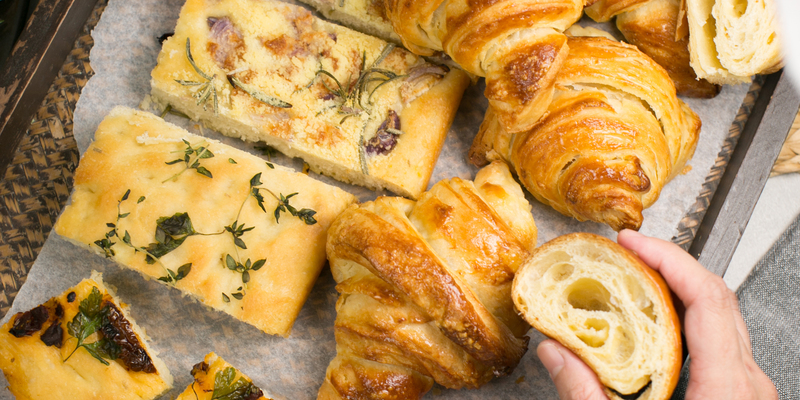 Come join us in this exciting and interesting skills-based class and learn how to make professional looking croissants and focaccia in this class! These croissants are full of buttery fragrance with many flaky layers. Besides croissants, also learn how to make rustic Focaccia bread from scratch, topped with ingredients that remind you of Italy! (Rosemary and onions, Sundried Tomato, Salt and Thyme). *Toppings for Focaccia will be provided.